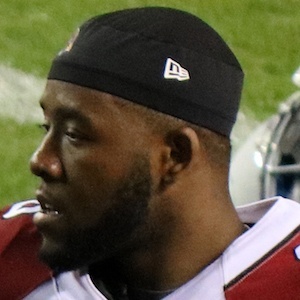 Safety who broke out during his 2017 rookie campaign for the NFL's Arizona Cardinals. He was named to the 2017 All-Pro first team and All-Rookie first team. He played college football for the Washington Huskies. He was named to the Freshman All-America team in 2014. He was a consensus All-American during his final season for the Washington Huskies in 2016. He was named to the 2017-2018 Pro Bowl as a special teamer at the end of his rookie campaign. His birth name is Bishard, and his mother began calling him Budda as a child. He began his career with the Arizona Cardinals as the back-up to Tyrann Mathieu.